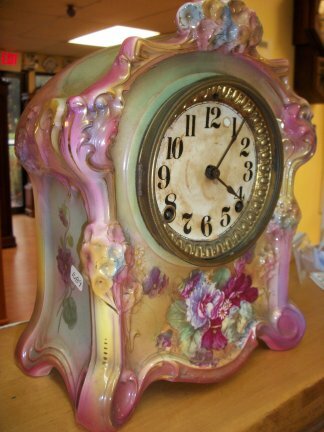 8 DAY MANTLES-1689-ANSONIA CHINA CLOCK WITH 8 DAY TIME AND STRIKE MOVEMENT AND ROYAL BONN CASE. 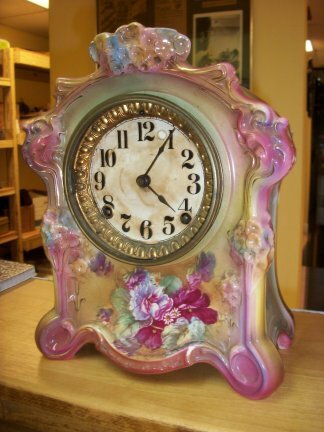 This is an 8 day Ansonia china clock, time and strike. 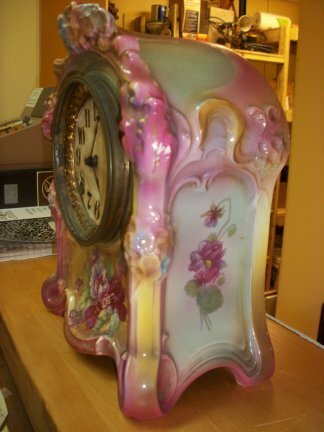 Closer view of clock from other side. 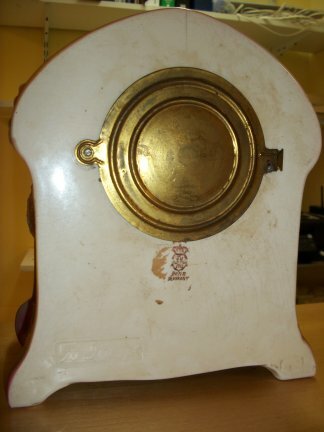 Closer view of clock of back. 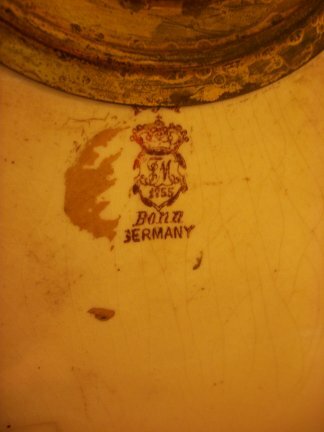 Closer view of Royal Bonn stamp on back.